I designed and crocheted this 1920s flapper dress, faux fox fur and cloche for a Crochet Guild of America fashion show in 2008. This year I put it in the fashion show again as many of the new members had not seen it. While I had the model available, I also photographed the outfit. The photograph is available from my stock portfolio at iStock. 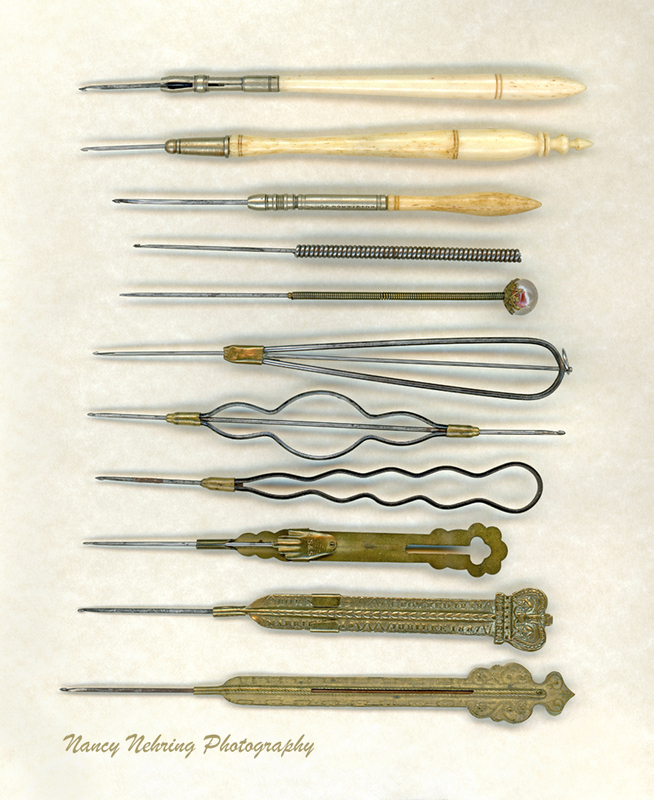 The Nov/Dec 2017 issue of PieceWork magazine carries an article that I wrote and did the photography for on antique British crochet hooks titled “Mid-Nineteenth-Century British Crochet Hooks, A Story of Invention”. Here is just one of the photos. 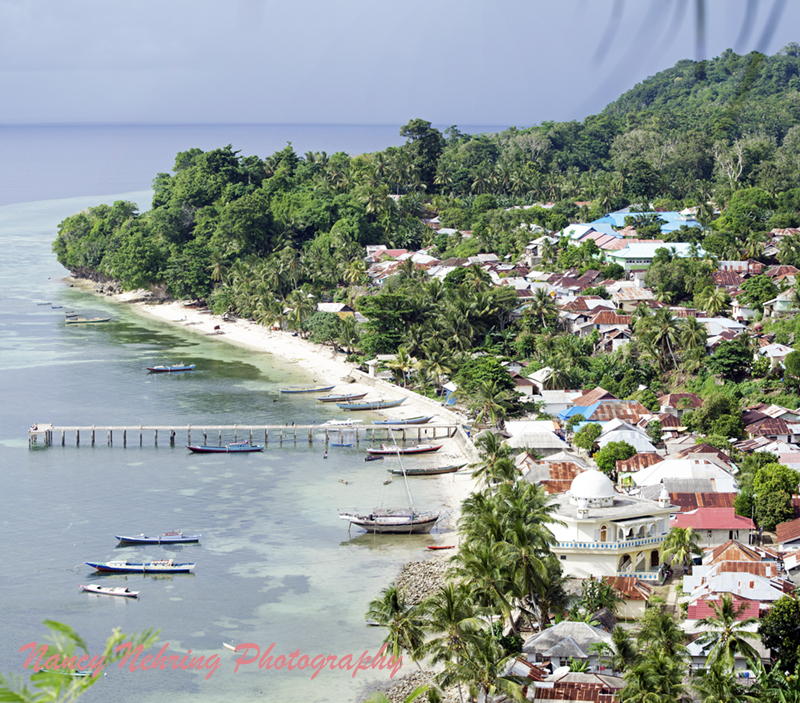 Aerial view of the small town Banda Run, Maluku, Indonesia, on the island of the same name. The Spice Island where nutmeg and mace originated. My photo of Banda Run was used to illustrate a story “The tiny island the British traded for Manhattan” on the BBC travel page, Oct 10, 2017. Don’t know how long the link will be good for. The photo is available at iStockphoto. 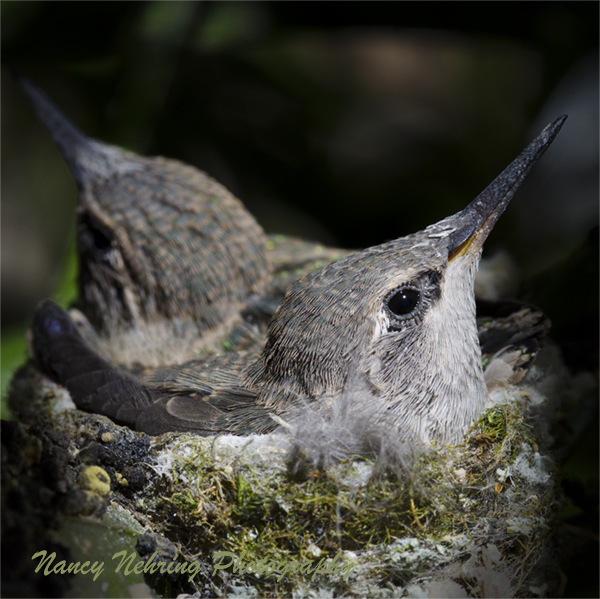 Close up of two baby Anna’s hummingbirds, Calypte anna, in nest. These baby hummingbirds are in a nest about a foot outside my neighbor’s back patio door. She was kind enough to let me take photos! The nest is about 2 inches across. Recently went on a photo tour/workshop to Oaxaca, Mexico led by Joseph Linaschke and Eric Mindling. We visited several small villages in addition to Oaxaca city and covered a range of photography styles including landscape, macro, architecture and street photography. Below are some of my people photographs. You can see the rest of my photos in my iStock portfolio. 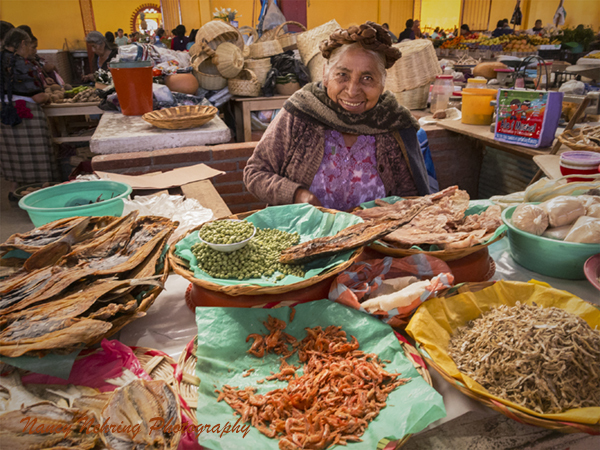 Senior Zapotec woman with traditional braids in her hair selling dried seafood and peas at the Mercado Municipal in Teotitlan del Valle, Oaxaca, Mexico. 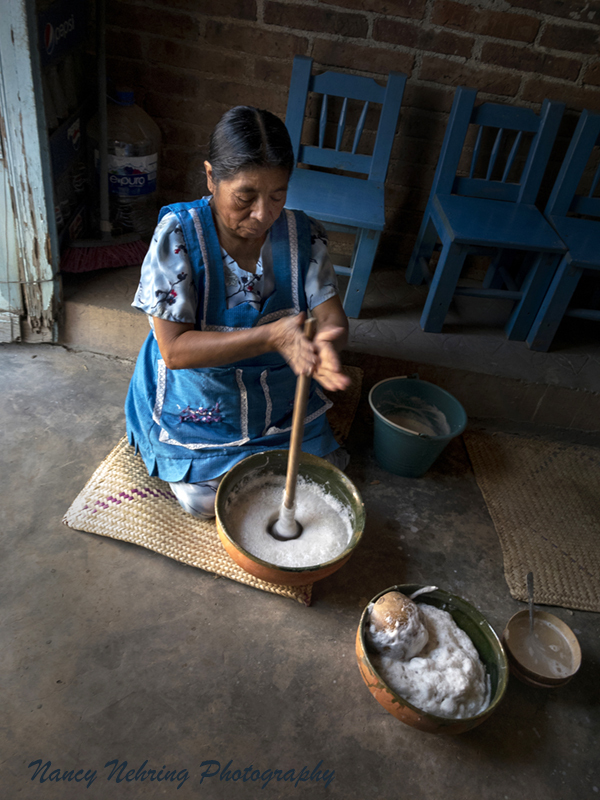 Zapotec woman making champurrado (chocolate atole). She is using the traditional technique including making a frothy head with a molinillo. Santa Ana del Valle, Oaxaca, Mexico. 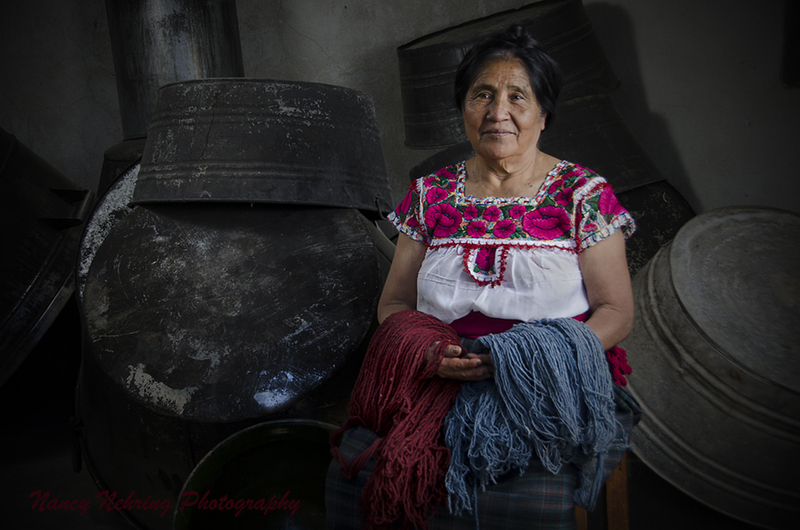 Macaria Ruiz Hernandez holding wool skeins naturally dyed with cochineal and indigo while sitting among her dye pots. Teotitlan de Valle, Oaxaca, Mexico. Senior Zapotec woman drawing water from an outdoor well. San Pablo Villa de Mitla, Oaxaca, Mexico. 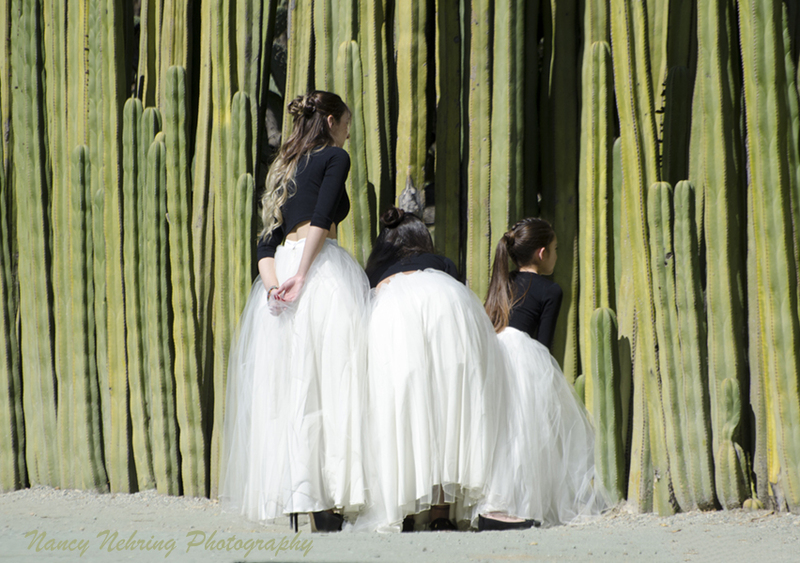 Bridesmaids peeking through opening in organ cactus wall. Jardín Etnobotánico de Oaxaca, Oaxaca City, Oaxaca, Mexico.